Become entwined in mystery and wrapped in enigma... Patchouli's sweet, smooth, earthy rich warmth boosts presence while filling and smoothing out sandalwood's dry base notes. More information and product images can be found using the links above. 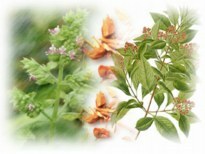 If you have ordered these products before and would quickly like to add Patchouli Sandalwood products to your cart, you can do so using the quick order form below.